Joe Klein was a baseball man, through and through. He knew every aspect of the game, experiencing it from all angles. As a player, he spent seven seasons as a first baseman in the Washington Senators organization, including three years with the Class AA affiliate in York. As a manager, he worked with the youngsters in the Senators/Texas Rangers farm system. In fact, the younger the team, the more Klein succeeded, posting an unconscious .774 winning percentage in the rookie level Gulf Coast League in 1975. As an executive, he led scouting efforts, player development departments and entire operations, serving as the general manager for the Texas Rangers, Cleveland Indians and Detroit Tigers. The final phase of his baseball career may have been his biggest and most enduring. When the Atlantic League was still in the formative stages in the mind of Founder Frank Boulton, Klein was brought aboard to give the league instant credibility in the professional baseball world. 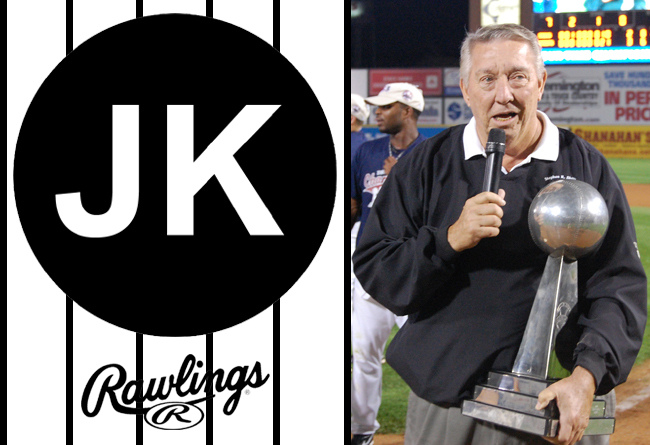 Joe remained in his post as the Atlantic League’s Executive Director, guiding the circuit through its first 20 years. He oversaw the most successful independent league in baseball, one that has moved over 900 players and 50 coaches back to Major League Baseball organizations and has hosted more than 38 million fans in that time with affordable family entertainment. Klein also served on the blue-ribbon Pace of Play Committee for the Atlantic League. During its first two seasons of implementation, the league trimmed the length of games by an average of 17 minutes per game. Several initiatives put forth by this committee are now being adopted across professional baseball, including at the Major League level. The ALPB elected in 2015 to rename its annual Executive of the Year Award in his honor, officially recognizing it as the “Joe Klein Executive of the Year Award”. The league’s Board of Directors unanimously adopted the name change to acknowledge the significant contributions Klein had made to the league since it was founded in 1998. Then, due to complications from quadruple bypass surgery, Joe Klein left us last August, late in the evening on his 75th birthday. During the 2018 season, every team throughout the Atlantic League will wear a patch to honor Klein’s memory and many contributions to the Atlantic League. The adornment features his initials “JK” in white text amidst a black circle. The patch will be seen on the sleeve of player jerseys representing all eight ALPB clubs. Joe will not only be remembered for his wealth of knowledge about the game but his kind, gentlemanly manner. He was a friend and mentor to everyone in the league.